In the Gmail Compose window, click the Send Anywhere icon. 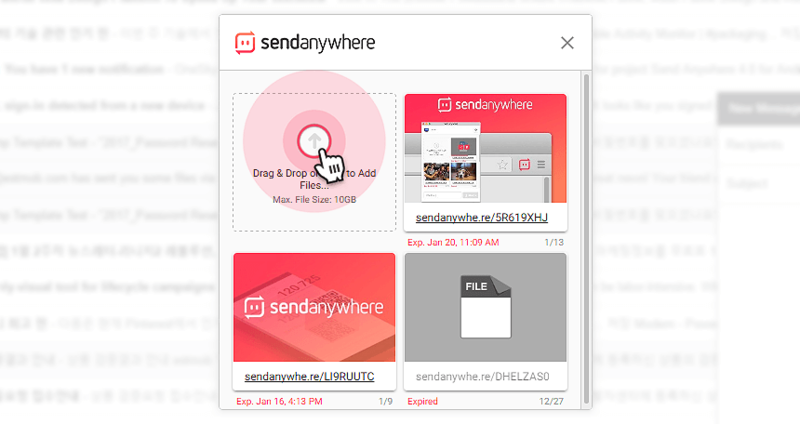 Click the file upload area to select the file to attach, or drag and drop the file to attach. You can also attach an already uploaded file. When you select a file to attach, information about the attached file and a link to download the file are inserted into the message. Once uploaded, you can download files for a week without any limit.